A few states are beginning to consider and/or pass anti-bullying laws to address inappropriate conduct in the workplace. Increasingly, plaintiffs’ lawyers and courts are trying to advance novel theories to punish employers for failing to stop bullying or to create liability for employers. For example, even absent a specific anti-bullying law, employers could be liable under anti-discrimination laws; common laws of negligence, assault, battery and intentional infliction of emotional distress; and even OSHA or similar state laws that impose on employers a "general duty" to maintain a safe workplace. With these trends emerging, employers need to develop programs and systems to prevent and avoid claims of bullying. 1. Recognize that bullying is a real problem. In fact, some experts say it is probably more prevalent than harassment in the workplace. 2. Develop an anti-bullying policy, including cyberbullying. 3. Post and publicize your anti-bullying policy. Include it in new employee orientation, employee handbooks, and stand-alone policies. Redistribute the policy periodically and get an acknowledgment of receipt from employees. 4. Educate employees, supervisors and managers about your anti-bullying policy, preferably in live, interactive, customized and relevant sessions. 5. Take alleged violations of your policy seriously. 6. Provide a system for reporting possible violations of the policy, which includes a by-pass process so that alleged victims can report issues even if they are afraid to do so directly. It may be helpful to include a mechanism for anonymous reporting. The purpose is to have sufficient mechanisms in place that you become aware of a bullying problem before it festers out of control or into a full-blown threat to employee safety or litigation. 7. Establish a clear procedure to investigate reports of bullying promptly. Be careful to preserve confidentiality as much as possible (but be careful not to promise absolute confidentiality) and work with counsel to determine what information can be disclosed and to whom both during and after the investigation. 8. Enforce the policy consistently if violations occur. 9. Make it clear in your policy that you will share details and cooperate with law enforcement to the fullest extent lawful so that information can be disclosed when necessary. Maintain reports in a way that will reveal emerging problems and patterns over time so that you can be aware of developments. 10. Your policy and actions should make it clear that you will not retaliate against employees who report concerns about alleged bullying. 11. Consider offering employees the benefit of an Employee Assistance Program (EAP) to help employees deal with bullying situations. 12. Conduct thorough background checks on applicants. Screen for criminal activity consistent with legal requirements. 13. Know the law in your jurisdiction that covers bullying and related conduct, and monitor applicable new developments and trends in the law. Employers need to recognize bullying as a serious problem. It can negatively affect employee morale, employee safety, employee retention and turnover, your workplace culture and even your reputation. 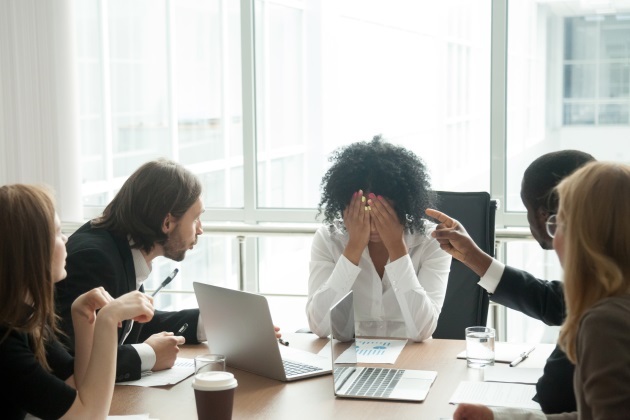 Progressive employers will take the actions outlined in this article to minimize bullying and the negative consequences that come with it in their workplaces. D. Albert Brannen is the managing partner of the Atlanta office of Fisher & Phillips LLP, a national law firm that represents employers across the country in labor, employment, employee benefits, business immigration, workplace safety and civil rights matters. He can be reached at dabrannen@laborlawyers.com or 404-240-4235.